It's the eternal question of every pet owner - what do your animals do during the day while you're out? While the reality is potentially a tad dull (clever money is on sleeping and eating), animation house Illumination's The Secret Life Of Pets posits the theory that they have great adventures. Essentially as light and fluffy as the animals within, The Secret Life Of Pets is a fairly safe, solid bet for some family entertainment at the movies. If you're after deep emotional connection with the furries on display here a la The Incredible Journey, then you're looking in the wrong place. Packed full of sight gags, some cinematic references and a gratuitous plug for upcoming Illumination flick Sing (seriously, subtle is not the place for Illumination) The Secret Life Of Pets is a singular story stretched a little thin in parts across New York and Brooklyn, but still likely to amuse its core audience. 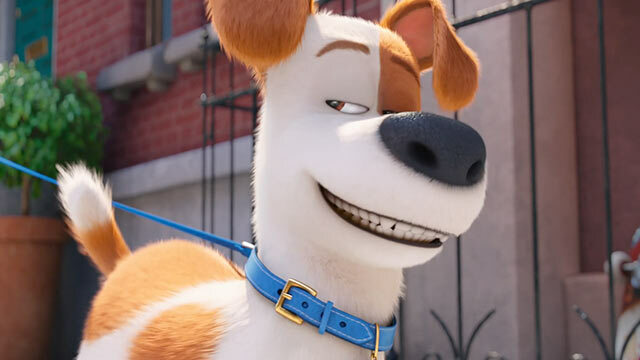 While the dogs have it ruff (sorry) in the film, and there are elements of Toy Story / only child syndrome at play here, the focus is solely on providing visual gags, some laughs and a degree of insight into pet owners and their pride and joy. 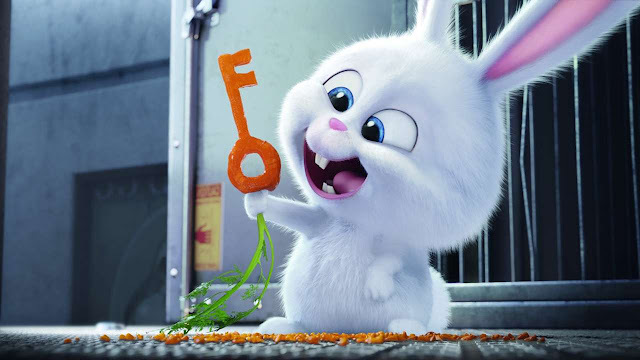 Leading large parts of the laughs is a psycho bunny Snowball (Kevin Hart) the leader of the Flushed Pets, a group of abandoned animals. For once Hart's OTT delivery and lunatic edges are perfectly suited to the white ball of fluff on the screen. While some may cry there could have been a touch more innovation in the story (it's a tried and tested formula complete with tragic back-story for the abandoned animals) and that the film wears its influences on its sleeve (an Alien gag, a Lost World cracking windscreen, Puss in Boots cute eyes, some Looney Tunes moments), The Secret Life Of Pets proffers up as fun and fluffy a piece of entertainment as the cast of critters within. 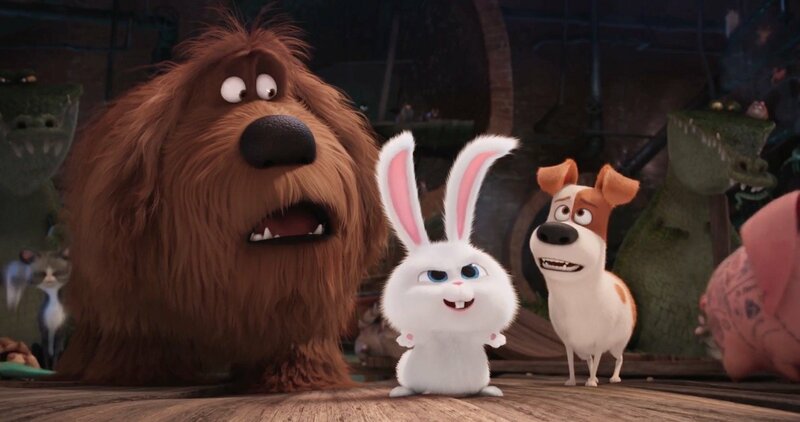 Granted, it's instantly forgettable as it races through its zany pace and some of the best gags were spooled out in the trailer that showed the animals kicking back when the owners leave, but The Secret Life Of Pets is a furry family sized piece of entertainment that won't melt your heart with its emotional journey, but will see you leaving the cinema with a renewed fervour for your own animals.